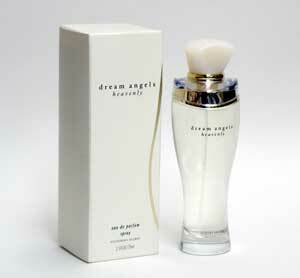 There’s a Victoria’s Secret Dream Angels Heavenly perfume on Samantha’s dressing table. I’m shocked that I know this one. It’s Heavenly (and I bought it after finding out). I researched it years ago when Samantha’s vanity was a magazine topic. I want to say it was in Allure.